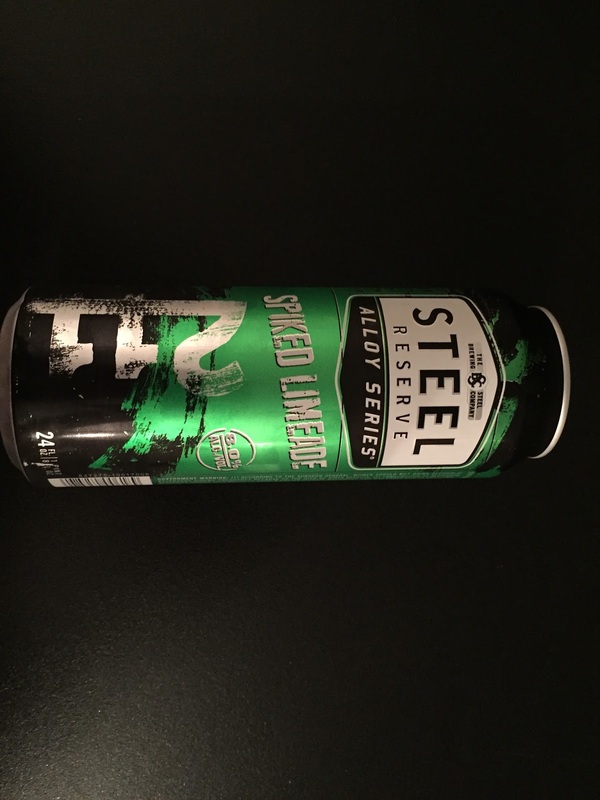 It look us awhile, but we finally have another member of the Steel Reserve Alloy Series on tap as the bumwinebob.com malt beverage of the week! 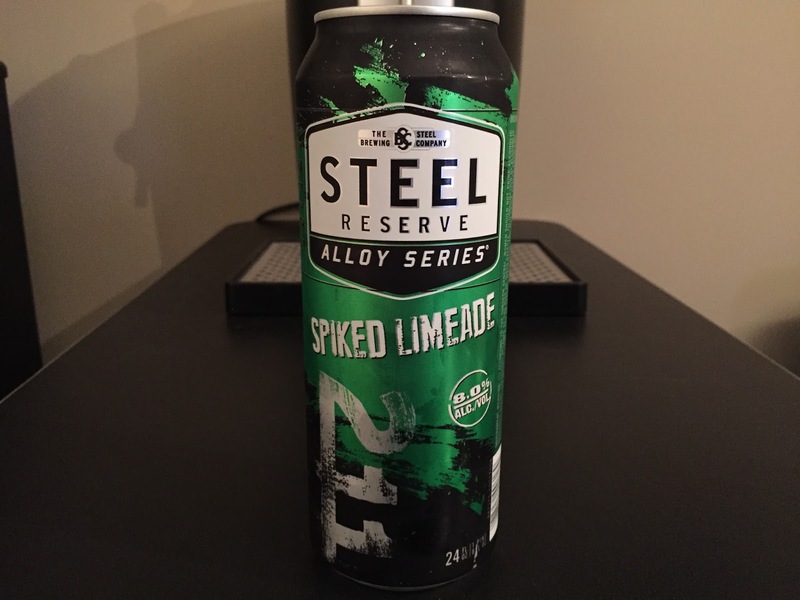 It was last December that we featured the Steel Reserve Spiked Punch, and now this time around we have the new kid on the block! 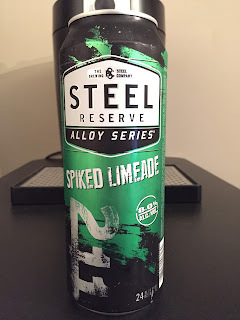 The Steel Reserve Alloy Series Spiked Limeade was released earlier this year as what I believe was a replacement for the Margarita flavor in their line of beverages. (I have not been able to confirm or deny this, but their website no longer lists Margarita as a flavor.) I am never going to hesitate in trying out a new flavored beverage, but when I saw this one on the shelf I have to admit that I wasn't really looking forward to it. Like all the other members of the Steel Reserve Alloy Series, the Spiked Limeade comes in at 8% ABV and is said to have a "pulverized lime flavor with a tequila-inspired finish". 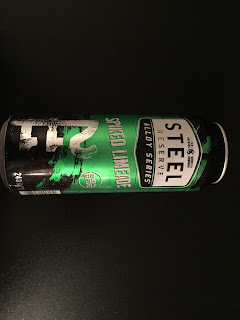 After the first sip I do have to say that it goes down smooth and does not have a strong sugary taste like a Four Loko or other flavors of the Alloy Series, but i don't really tell much of a tequila-inspired flavor either. I do taste the lime, but not much else with it. It's a 211 Spiked Limeade...what would you expect? Tune in LIVE this Sunday at 11pm ET and get ready to Vote Bum Wine Bob in 2020! The 2016 election might have just ended, but we are getting the 2020 campaign started early! Make America Grape Again with Bum Wine Bob! Grab a drink and join the party! Cheers!